WhatsApp is undoubtedly one of the most popular ways of communicating across the world. The company claims to have more than a billion users across the globe and is consistently introducing new features to enhance user experience. Apart from this, the users can also improve their experience by using certain tricks that enhances the experience considerably. One problem with WhatsApp is that it doesn’t allow users to use multiple accounts simultaneously on one smartphone. However, there is a this trick that allows you to do exactly that! 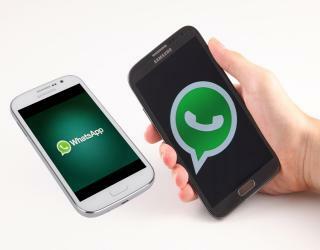 The trick allows dual SIM users to run two WhatsApp accounts on the same smartphone. This can be done by cloning WhatsApp and signing-up on the clone using the secondary number. There are some smartphones where the feature could be accessed using system-based cloning option. On other devices, it could be done through third-party apps. – Smartphone manufacturers Xiaomi, OPPO, and Honor allow users to access the option from Settings. – It is given by the name of ‘Dual Apps’, ‘Clone App’, ‘App Twin’. – To create two WhatsApp accounts, the users just need to head to any of these options and turn the toggle.